Every homeowner dreams of a grand dining room big enough to entertain guests or host dinner parties. 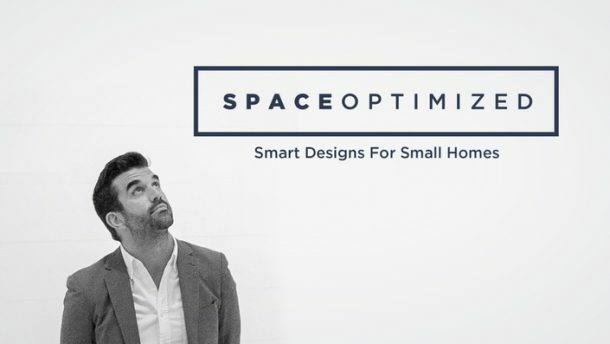 But for most city dwellers living in a microapartment, the tiny living space affords barely enough room for a small table with two chairs for eating. 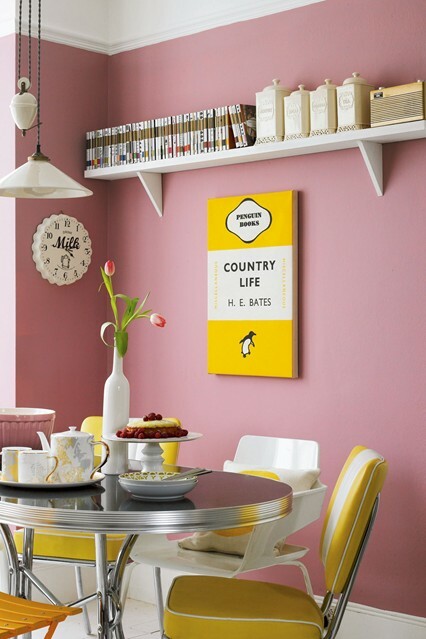 Ever wish you could stretch what little space you have in the dining area to make more room for your essentials? 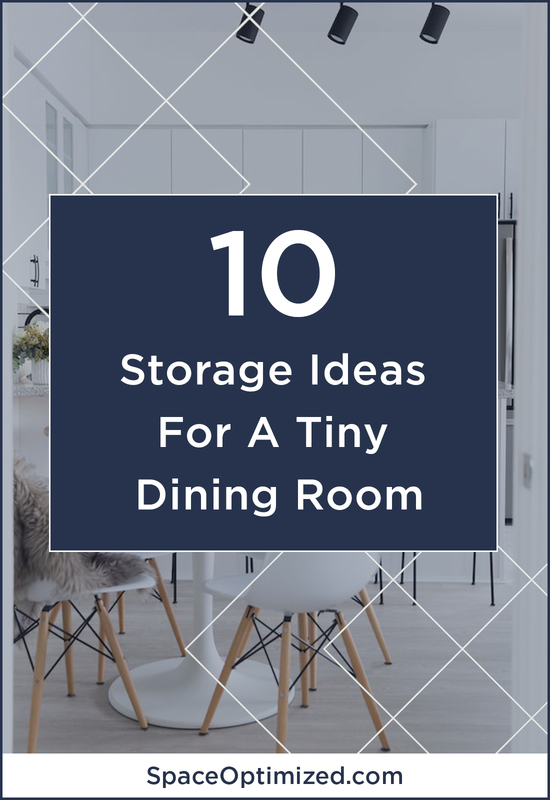 Frustrated over the lack of storage space in your dining area? 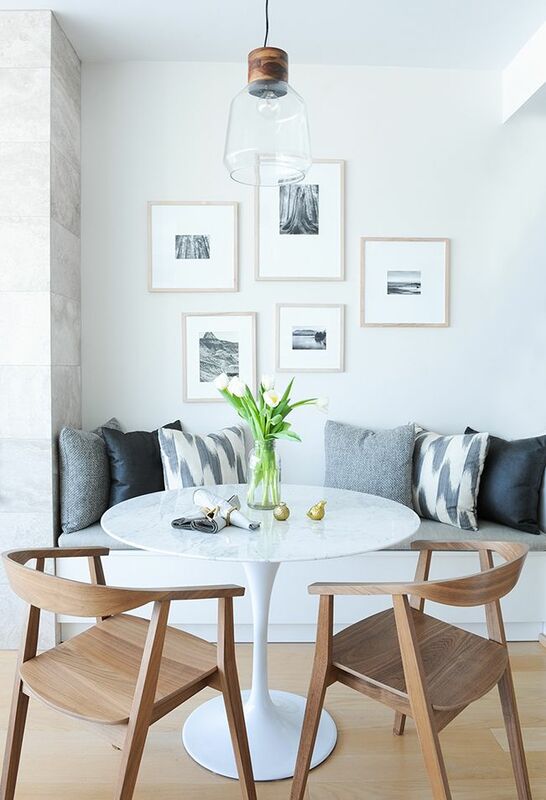 The fringes of the dining room are full of awkward spaces that are often left underutilized. So what do you do? 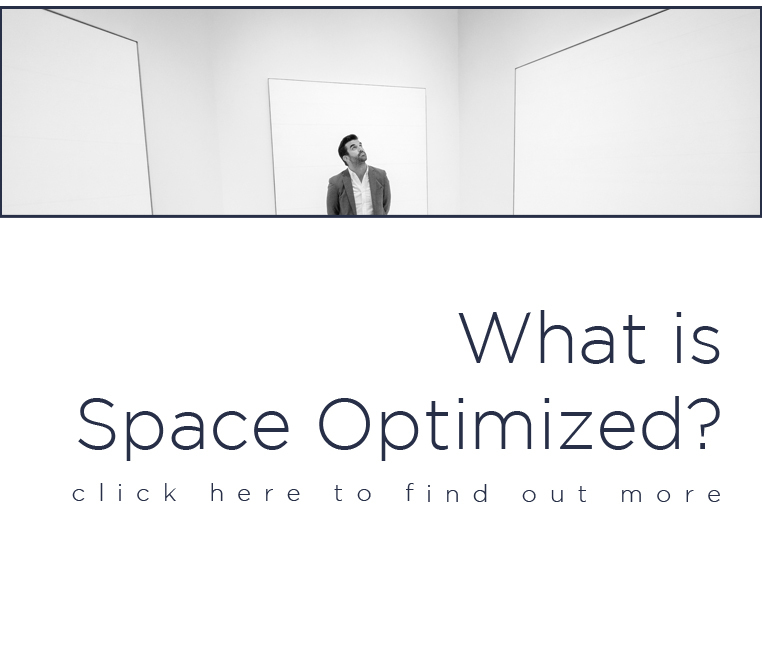 Make these bare space work harder! There are many ways to maximize these tight spots. You can install floating shelves on these areas or add rolling carts or standalone shelves. Need more dining space for guests? You can also use tight spots to increase the seating area. Just place a roundtable in a bare corner, add a couple of chairs and voila, you have more room for eating! 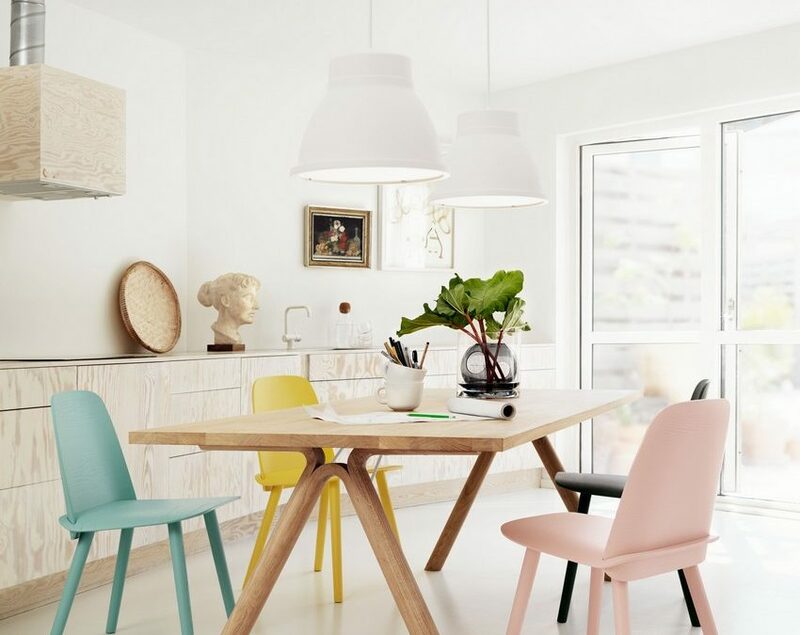 Tired of bumping into things because of a too-narrow dining room? Here’s a great solution: place the furniture against the walls to stretch your dining room’s limited floor space, instantly. And while you’re at it, look for ways to maximize the bare walls. You can install shelves or wall-mount organizers on blank walls to increase the storage space. Having a full-sized China cabinet is nice but for tiny dining rooms, you cannot sacrifice precious floor space for bulky pieces of furniture. Shelves are the more practical choice. You get flexible storage space for your cutlery, pots, and pans while keeping the floor space clear. If your dining room has space to spare for sideboards and cabinets, by all means, install these useful pieces to maximize the storage space in the dining room. Sideboards are the perfect furnishings for dead spaces near the dining area. They come in an array of sizes and designs so there is something for everyone. You can use the sideboards to keep your dinnerware and cutlery out of sight. Same thing goes for the cabinets. 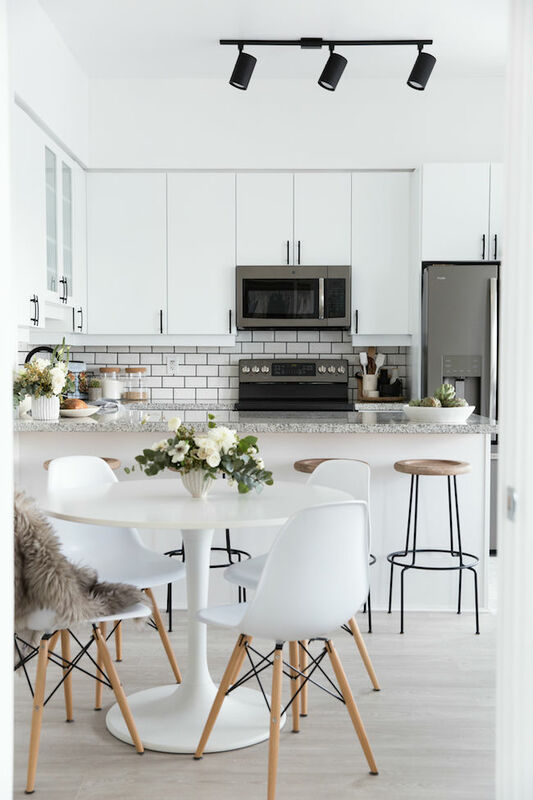 There are cabinets made specifically for a microapartment so you’re bound to find one that fits your small dining room perfectly. Open shelves are a great piece to invest in as long as the dining room has room for it. Since you’re dressing up a small space, always consider the dimensions of the shelves. Don’t be shy to take a tape measure with you while shopping to get the size right. 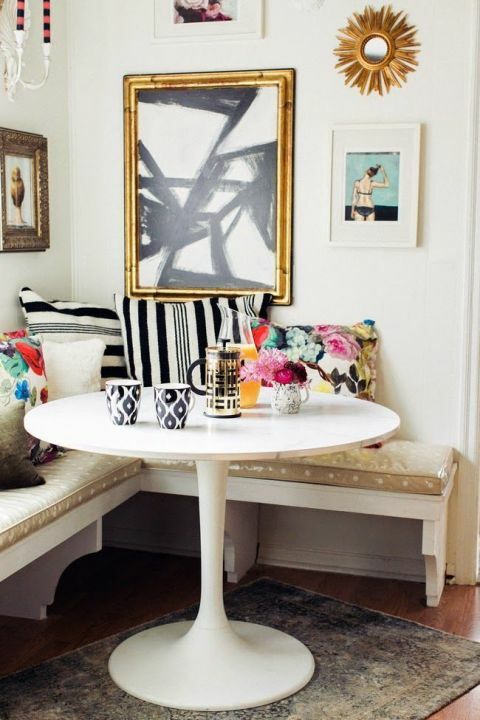 Go for the petite ones if your dining room is too tiny for bulky shelves. Just place the open shelves against the wall and you have flexible storage space for your dinnerware. If the budget allows, investing on bespoke pieces of furniture just might be the thing your space needs to make every square inch count. Opting for seating with built-in shelves, for example, is money well-spent for small homes or open floor apartments. You’re able to seat more people in a small room while also having more storage space to keep your dinnerware and cutlery close to hand. All these, without weighing down the look of the dining room. You can also sneak in more storage space underneath the seats. Paired with a long table, the dining area will look like a banquet hall! Sometimes shelves aren’t used to hide things, they can be used to display your belongings. A high shelf offers flexible storage space. You can use the overhead storage to store your culinary tools you use infrequently. You can also use the height to display your favorite glass pieces or cookbooks without disrupting the flow of the design. 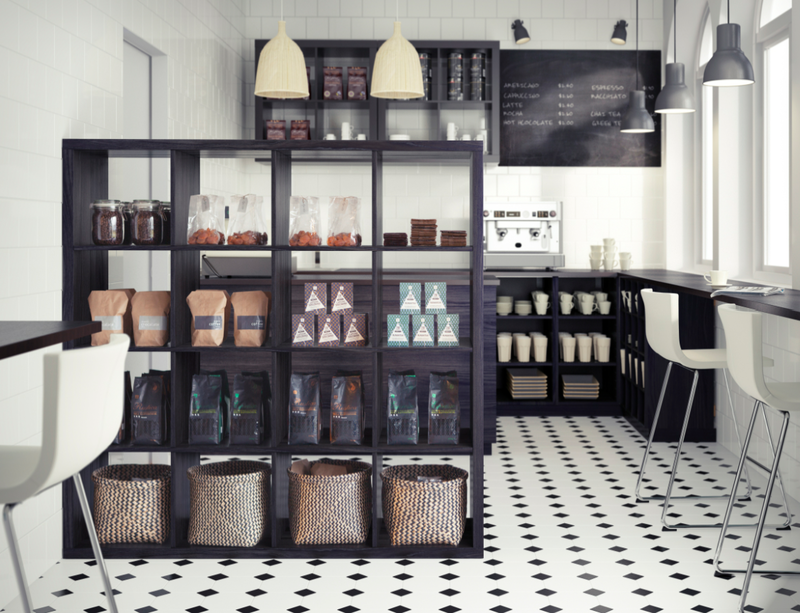 For a seamless look, match the color of the shelves with the wall colors. You can also opt for a high shelf in a contrasting color to draw the eye and accentuate this room feature. Organize your dining essentials using a stylish room divider. 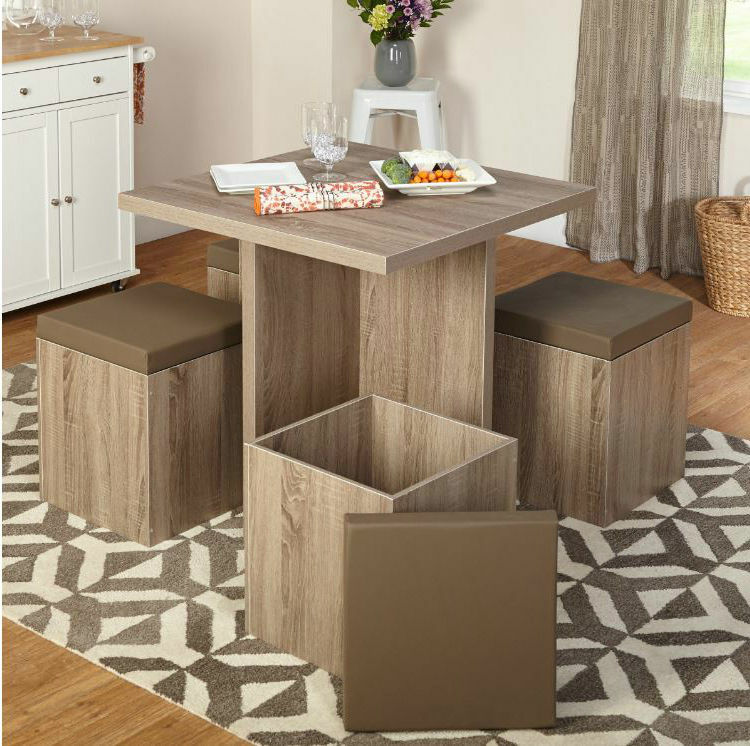 This multipurpose storage unit will look stylish in a small dining room. 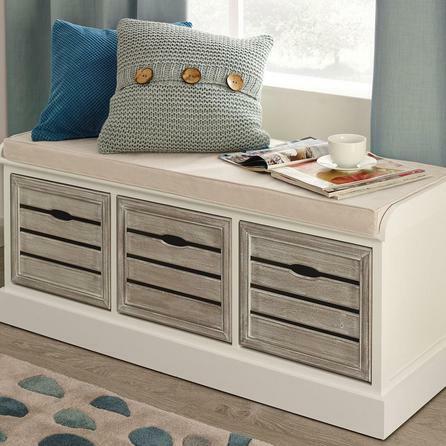 You can put pretty storage bins in a contrasting color or a matching color for an unobtrusive look. The bins will come in handy when it comes to organizing the dining room. All the dining tools you’d like to conceal are kept out of sight. For open floor apartments, a room divider adds a physical barrier between the dining room and the kitchen or living room. A long bench with hidden storage can be used to maximize the seating in a small dining room and stretch the storage space. 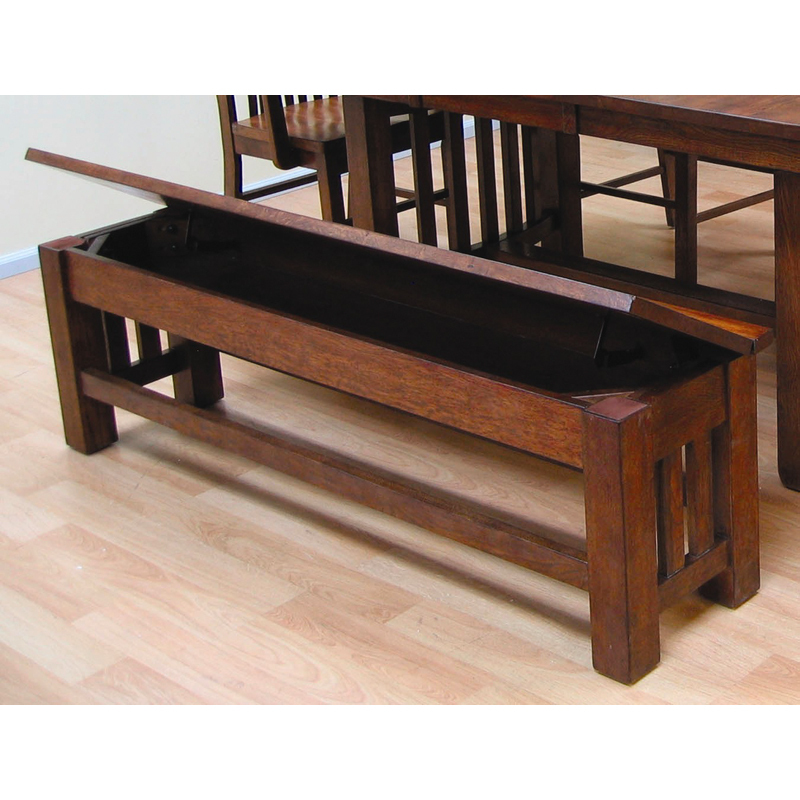 What’s more, you can simply tuck the bench under the dining table when not in use, keeping it out of the way. 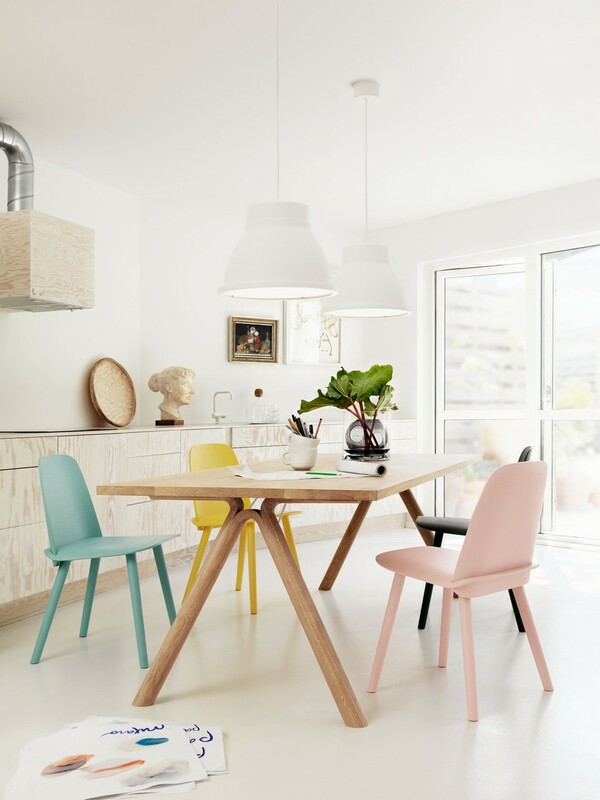 You can also use a regular bench as dining seats so the dining room can accommodate more people. Pop several bins or wicker baskets underneath to stretch the storage space. The storage bench typically used in mudrooms or entryway could be converted into a dining bench with storage too. It’s an unusual choice but this piece of furniture serve many purposes. 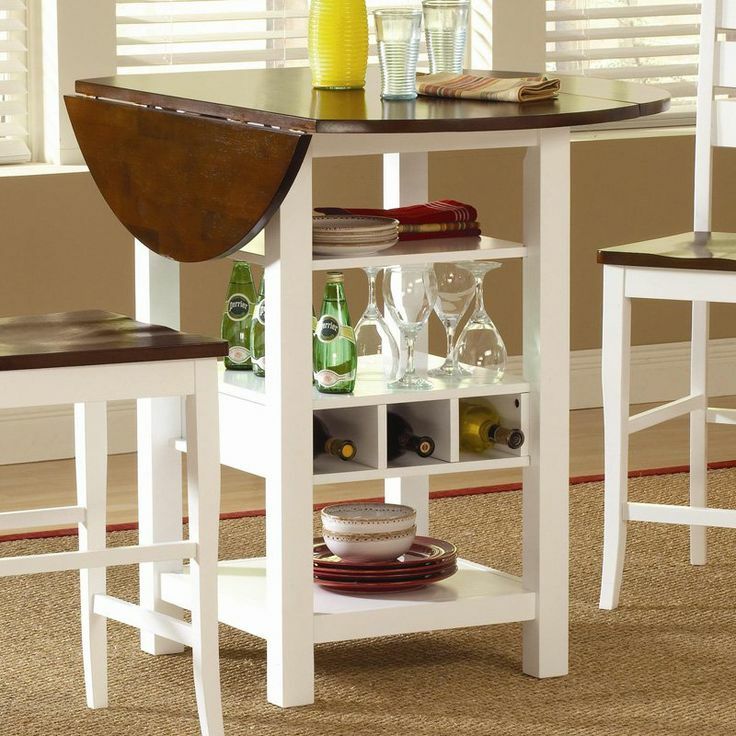 Pair it with a low table and you’ve got a sizable dining area that fits your microapartment. 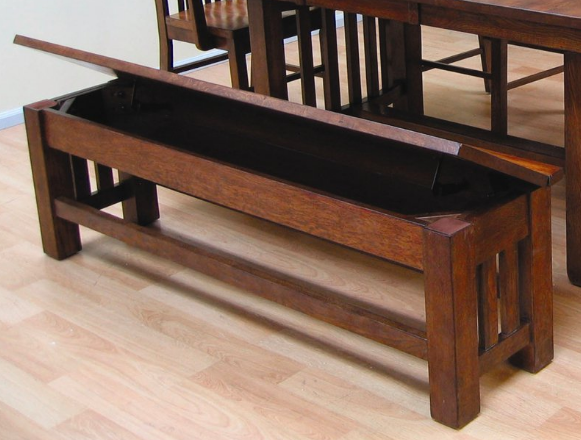 A dining table with extra storage space underneath works great if storage is an issue in the dining room. Plus points if said dining table folds when not in use. Imagine all the space you can save for a dining table with built-in storage. These storage dining tables come in many sizes, petite ones are perfect for a microapartment or a narrow dining room. Larger ones are ideal for families or a sizable dining room. Rounding up our list of clever ways to increase the storage space in the dining room is investing on dining seats with concealed storage. A dining set with seats that can be tucked under the table is the perfect solution for a compact dining room. You get more storage space without cluttering the floor space.